Horrors! I had a knitter’s worst nightmare – while awake! I recently switched phones and despite backing up my data, the yarn inventory on my Vogue knitting app did not carry over. I’m certain it was user error because most of my other data transferred. I didn’t mind though. It was a perfect excuse to take out the yarn stash and air it out. I do that from time to time. 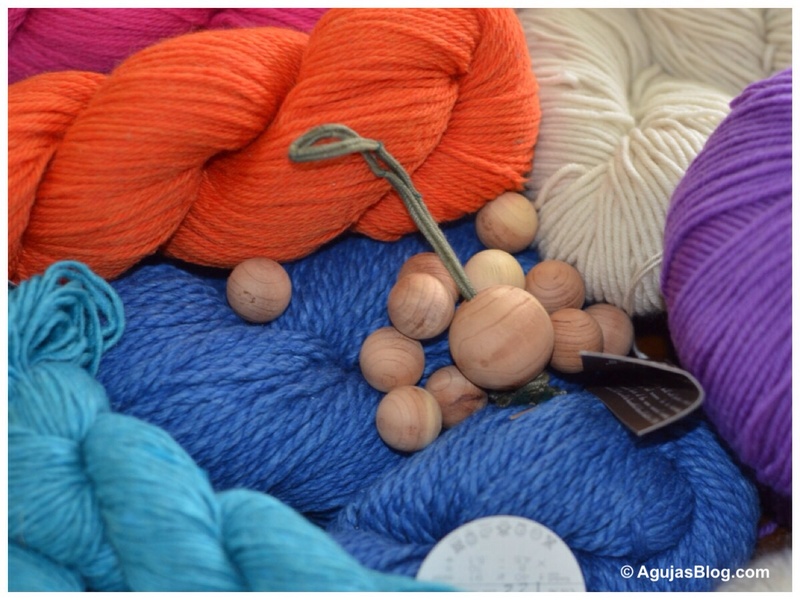 It reminds me of the beautiful skeins I’ve picked up here and there and sparks project ideas. To my horror, as I was halfway through taking it out of its bin, out flew a moth! Noooooooooo! You can imagine the waves of panic that shot through me. I chased the culprit around the room and away from my yarn. I then turned to my stash and immediately examined every single skein, ball and hank for damage. Alas, there were several casualties. The next couple of days were devoted to separating the damaged skeins from the rest. I threw out three skeins that seemed to have gotten the worst of it. Thankfully, the damage seemed contained to a corner of one bin. I was surprised to find the cursed critters in my stash. I periodically inspect and reorganize my stash (yes, I am a bit OCD about it) and keep a pile of cedar balls in each basket. But it was not enough. After taking photos and entering my stash inventory into the app, I began storing the yarn inside plastic bags. I bought some lavender-scented moth balls wrapped in light paper and put one inside each bag, like little lethal sentinels guarding my treasures. I know those fibers are better off with circulating air but I was in defensive mode. I figured I could wash out the moth ball smell later. Better that than having to toss away yarn. My stash is a few skeins smaller but otherwise intact. Now I really have to knit it down rather than risk losing any more of it. Yarn protection suggestions are welcome. What a nightmare! I´ve bought a nontoxic and biodegradable specific detergents for wool and silknthat smells rather nice to me, but it is said to be a deterrent to moths. You can buy it from http://www.fargkraft.com. I´ve also heard that you can put the yarnl in the freezer for some days if you suspect vermin. Thanks for the tips. I will look for that detergent. I hope so. My entire house smells like moth balls. Thanks for the moral support. I have all sorts of project ideas for the yarn so that I can put it to good use. Even though I do love just having it around! You should have seen how high I jumped up when that moth flew out! I wondered the exact same thing. Agree they must rotate it by selling it. Perhaps that’s one of the reasons my LYS has a huge end of year inventory sale – to reduce the amount of yarn they have to count and perhaps to reduce the risk of moths. Oh my God, what a disaster! Makes me think I should buy some moth balls too. I thought the cedar balls were enough, but they were not. Yes, there is a lesson there. I have been knitting from my stash so far this year. I just can’t knit fast enough! Bad news but probably just as well you found the moth now and not later! You are right. In the end the damage was limited. I know my blood pressure rose when that moth flew out. Yikes! Thank goodness you only lost a few. I keep all my yarn in plastic bags now too and so far everything has stayed safe! I’m so glad. I’m hoping that will prevent future damage. It was hard throwing out those damaged skeins but yes it was contained to a few. Whew! oh no! you’ve made me want to go home and inspect my stash immediately! I’ve been thinking about bagging some up in snap lock bags too as I have run out room in cupboards… is it really that damaging to the fibres to not ‘breathe’? Sounds like you made a very good investment in those bars. Do you have the brand name? As for breathing, I read somewhere that you ought to let natural fibers breathe, especially woolens, i.e. not wrap them. But given that I will still take the stash out and admire the softness from time to time, I’m sure they will be fine! I have started recording my stash on Ravelry. Two things work well for me. First I can link the stored yarn to projects so I have a record from raw yarn to completed item and don’t have to worry about the app as it’s backed up by Ravelry on a cloud somewhere. I started using the app before it occurred to me to use Ravelry. Still I like having the info at my fingertips with the app. Hopefully i won’t lose my entries again! I feel your pain, I’ve had a similar experience! Oh my goodness, that sounds absolutely awful! 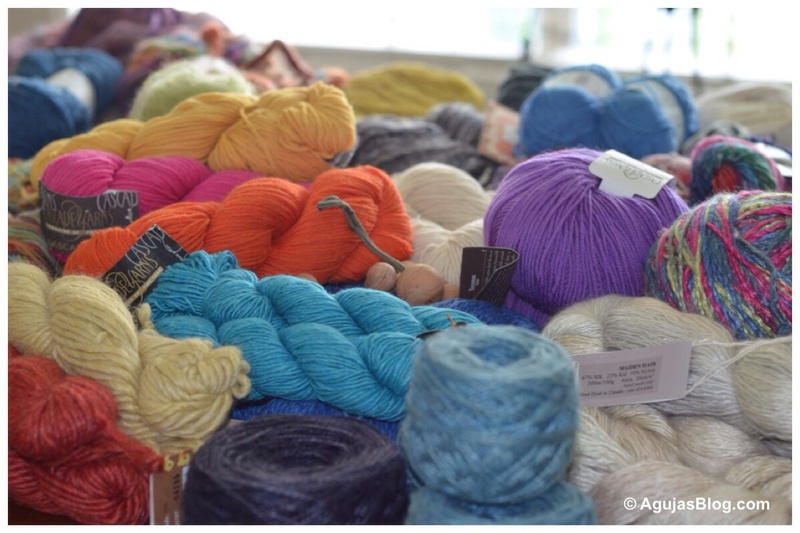 I don’t keep a large stash, I tend to only buy yarn when I have a project in mind. I do however have a huge stash of wool sweaters, those are kept in plastic bags in a cedar chest. I’ve been lucky, I’ve never seen a moth indoors, ever! Unfortunately I have. One ate away at a cashmere sweater. That’s when I went into action and placed moth balls and cedar balls everywhere, especially in my yarn stash. But the pesky little things still got to them. Hopefully they are gone for good. How awful! Glad there were only a few casualties. oh that’s awful! I fortunately don’t have much wool in mg stash. The majority of it are acrylics. I have never heard of lavender scented moth balls. Where can you get them? I found them at Target! Not sure that I get a lot of lavender smell but they try. My husband and I just went through the exact same thing. 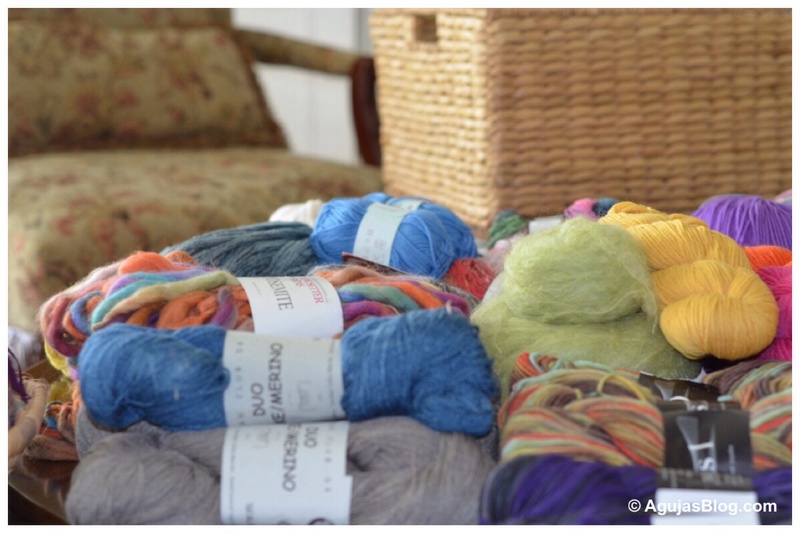 We put all of our wool (and I felt and spin as well as knit, so it was a lot), into airtight containers. That stops larva and moths in one batch from spreading to another. Then, we froze the containers for a week, thawed them in the sun, and re-froze them, and still keep everything stored in airtight containers. Also, after you sort and store your yarn, vacuum. Vacuum, and then throw away the vacuum bag. This is our second moth invasion, and it happened because we missed a few larva the first time. Good luck!